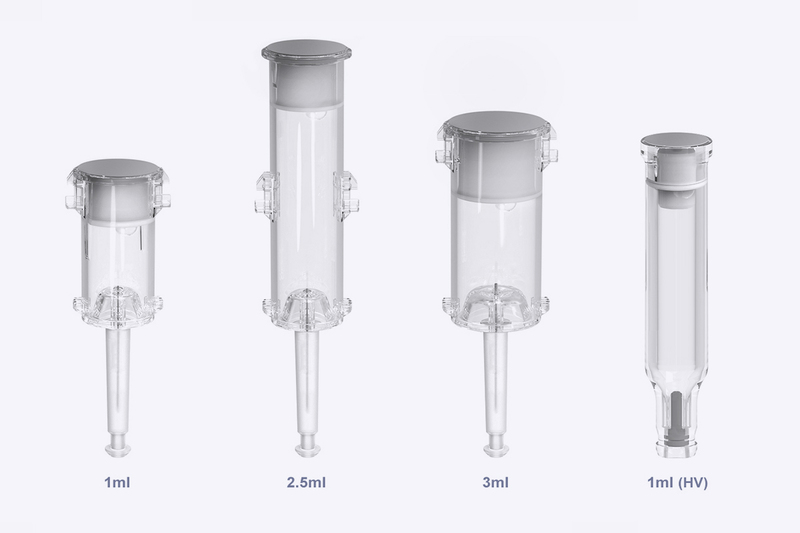 Oval’s proprietary primary drug containers offer a wide range of benefits over traditional glass based systems. 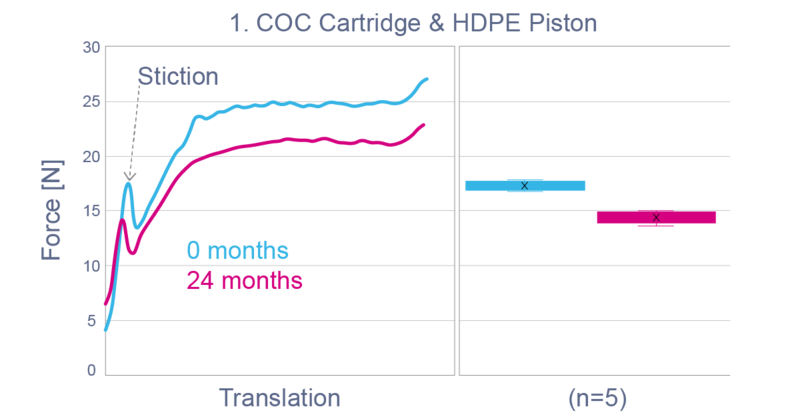 The use of cyclic olefin copolymer (COC) allows for much greater design flexibility, and the creation of more robust containers, whilst also allowing us to remove materials that could potentially interact with the drug. Our COC primary drug container is used as the basis for our platforms ArQ®, ArQ® - Bios and ArQ® - Vita, as well as Sumalen Ovali. Oval’s COC drug containers are injection moulded, allowing designs to be tailored to the needs of each drug. Additional features, such as clips and cams, can be integrated directly into the container design unlike with glass. This cuts down on part numbers and limits tolerance chains, resulting in a more compact, precise product. 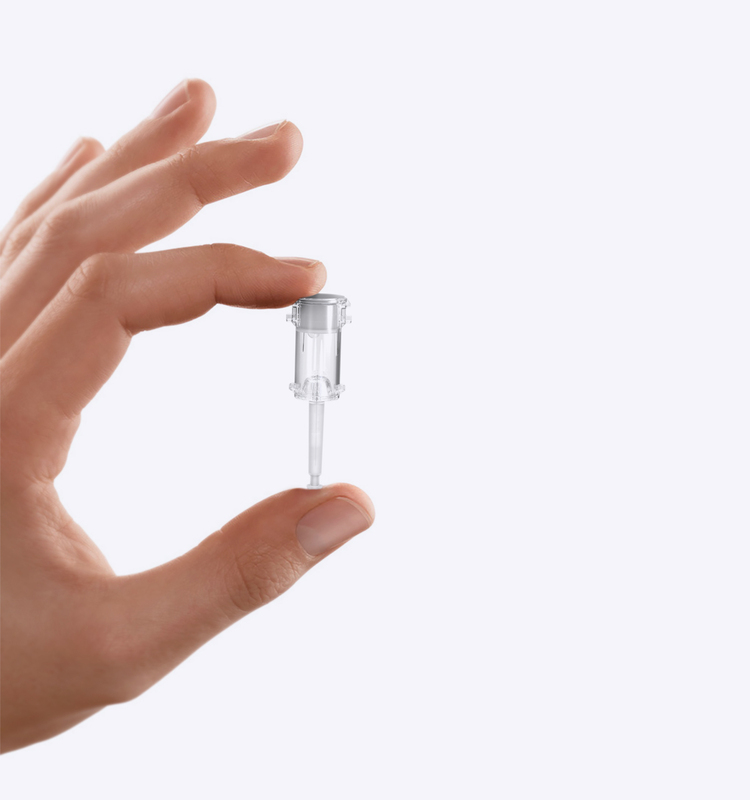 Container size and shape can also be much more easily adapted for the needs of the drug, and a wide range of needle lengths and gauges can be accommodated. 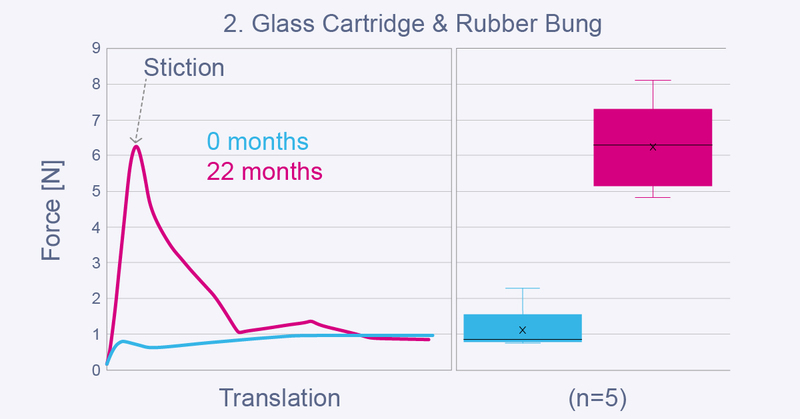 Whilst glass and COC have a similar nominal fracture strength, COC allows Oval to engineer much stronger containers. 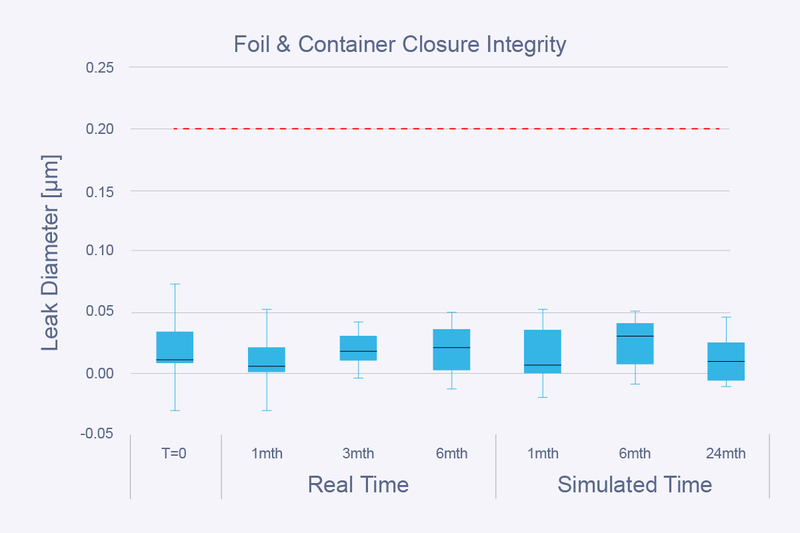 This means that COC containers can be designed to handle the pressure produced when delivering very high viscosities in short delivery times. 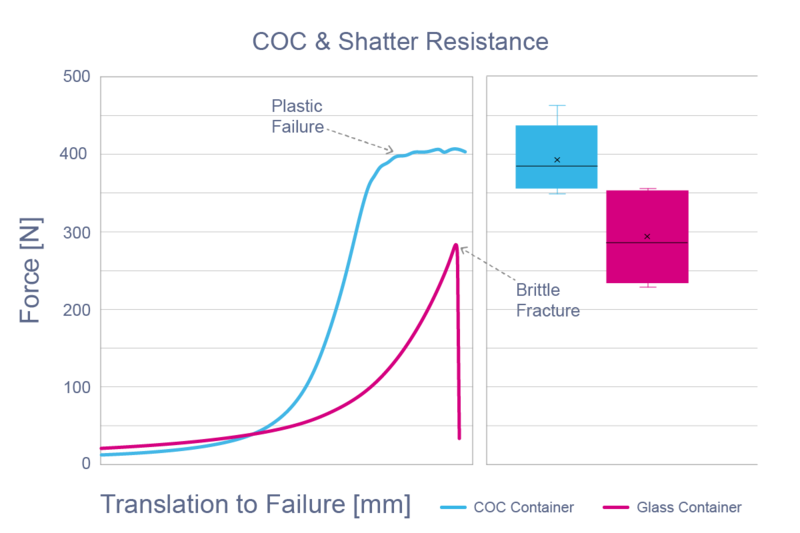 COC is not brittle, unlike glass, giving a more robust container that fails in a less catastrophic manner. 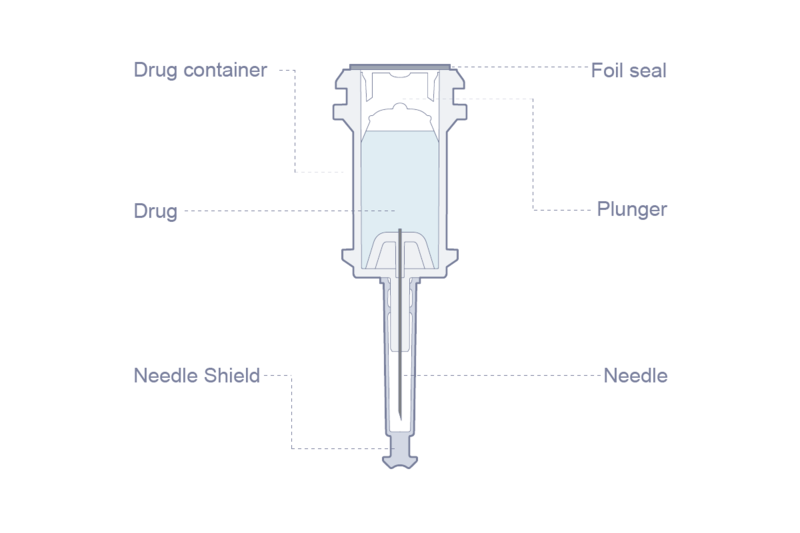 Unlike a traditional glass/rubber interface, where the rubber plunger performs two functions – providing a sterile seal during shelf life and ultimately delivering the drug. Oval’s PDC design separates these functions using our patented cup seal and foil technology, allowing for the optimisation of each. The cup seal functions as a low-friction liquid seal and the foil forms an extremely good barrier to oxygen, water vapor and biological contamination. Under hydrogen gas tracer testing the foil seal has been shown to be free of leak paths greater than 0.2μm diameter (sufficient to prevent the movement of micro-organisms), and has shown to be reliable over long term testing of 6 months and simulated testing of 24 months. Vacuum decay testing (effective for leaks down to 5μm) is used for an in-process check to verify each individual product. Oval’s primary drug container design eliminates silicone, rubber, glass and tungsten through our patented “cup seal and foil” technology. Alongside this, the gas liquid interface is reduced through our ability to produce a smaller bubble, creating a more stable environment for fragile molecules. If you are interested in finding out more about our primary drug containers, please contact us.